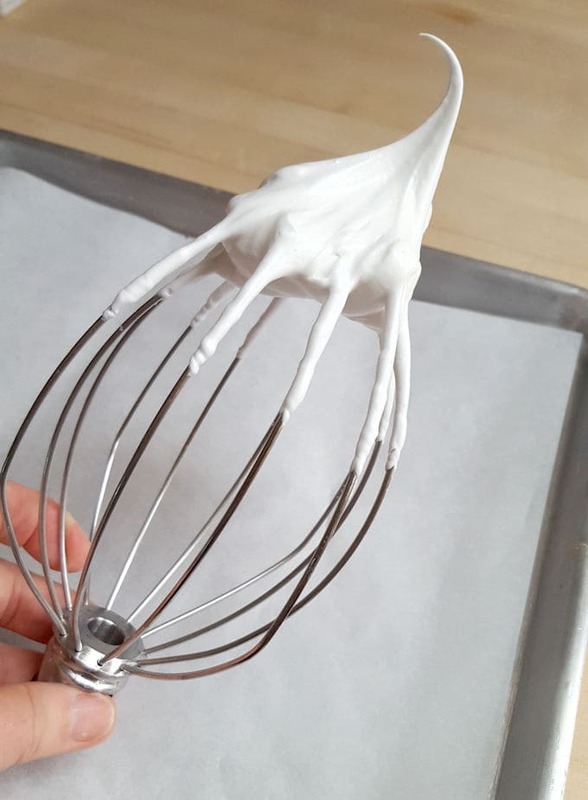 This is a super simple recipe for a meringue that’s stable enough to be piped into a variety of shapes. Use this recipe to make mushrooms for a Buche de Noel or baskets for an elegant dessert presentation. Perfectly whipped full peak meringue for piping. 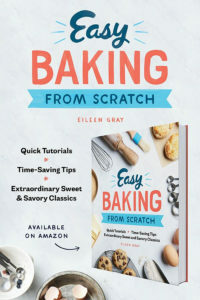 This is a good basic recipe to have on hand. 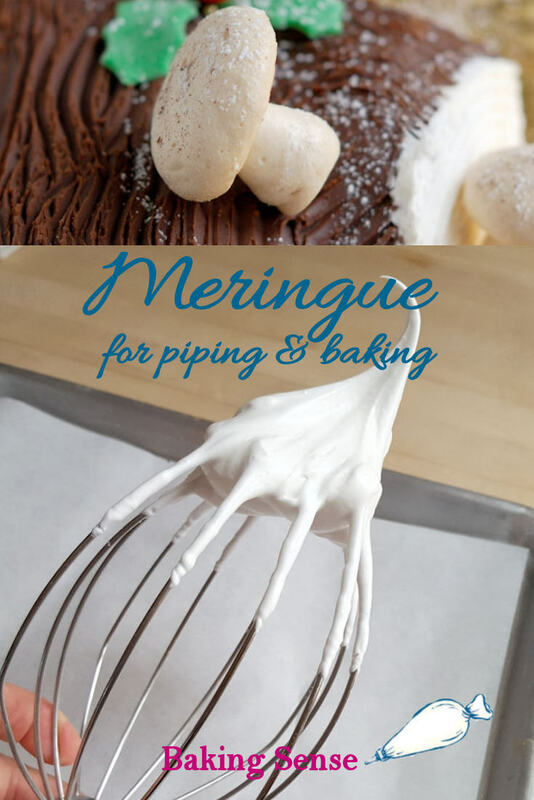 Use this meringue recipe to pipe shapes that can be baked and dried until crunchy and sweet. 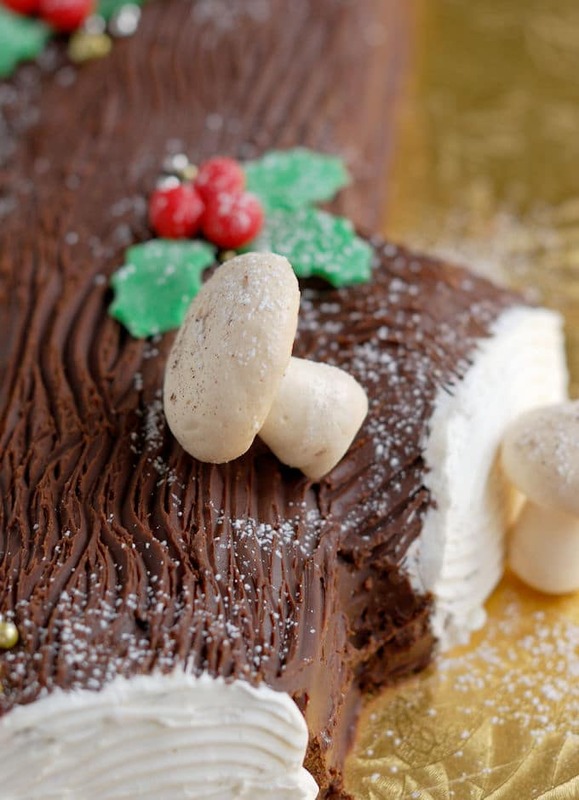 Meringue mushrooms are the perfect finishing touch for a show stopping Buche de Noel at Christmas time. Pipe meringue cake layers for an interesting crunchy surprise in a layer cake. For a classic dessert presentation create small baskets and fill them with berries & cream. Sandwich two meringue discs together with a little ganache to make delicious little sandwich cookies. The possibilities for this one recipe are endless. 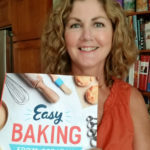 When making meringue there are just a few rules you have to follow. Mostly importantly, the mixing bowl must be absolutely clean and grease-free or the whites won’t whip up. It’s best if the whites are at room temperature for better volume. 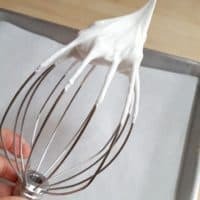 To get the lightest meringue whip the whites until they start to form soft peaks, slowly add the sugar and then whip to full peak. Check out this video to see how to pipe mushrooms and baskets. Once the mushrooms are baked you can glue the stems to the caps using a dab of melted chocolate. Sprinkle a little cocoa to look like “dirt” to complete the mushroom. To prevent browning, after about an hour prop the oven door open with a wooden spoon or you can turn off the oven and leave the door closed. The egg whites will whip up better if separated a day before mixing.